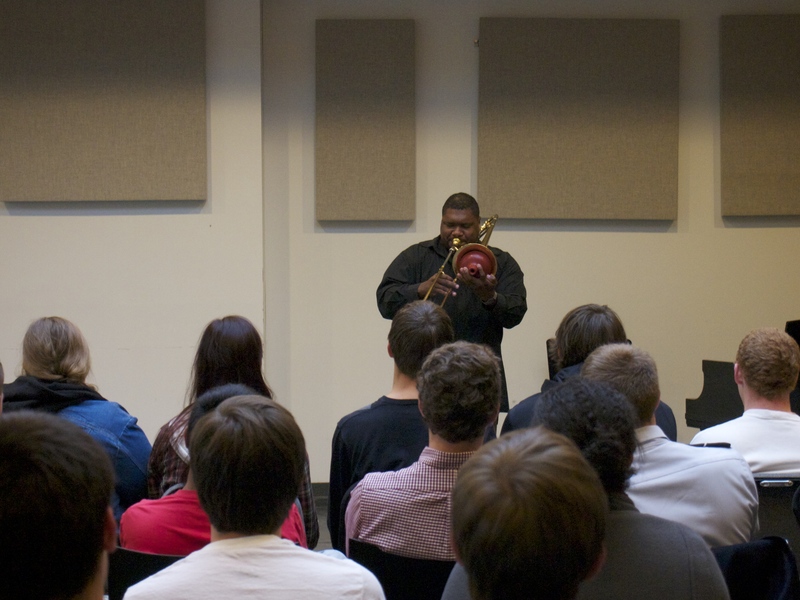 On October 31, 2013 Wycliffe Gordon presented a masterclass to the Brass Area. Wycliffe focused on connecting our ability to sing to what we can do on the horn. When we sing we often use the “correct” technique. When we pick up the horn we do something entirely different. If we sing more and learn to sing the correct pitches (in the correct octave!) and match the articulations and inflections those things will translate to the instrument and solve many issues that would otherwise take a very long time to solve.